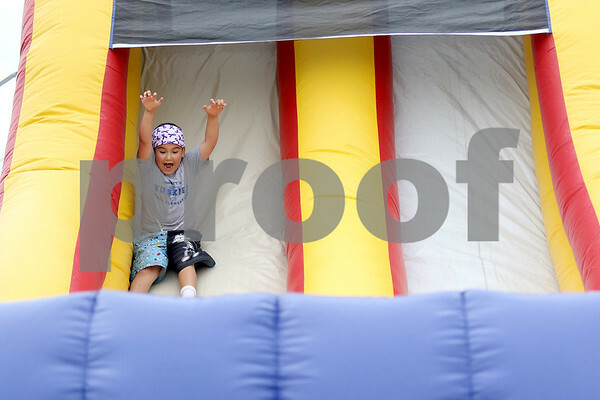 Isaac Martinez, 7, of DeKalb, slides down an inflatable bounce house during Hope Fest at Huntley Middle School in DeKalb on Saturday, July 11, 2015. Hope Fest raises money for Eplipsey DeKalb. Martinez had epilepsy as an infant but grew out his seizures.